Cary Grant, Grace Kelly & Alfred Hitchcock. 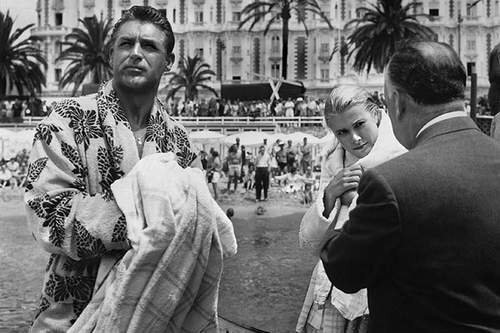 On set of To Catch A Thief. Wallpaper and background images in the Classic Movies club. This Classic Movies photo contains street, city scene, and urban setting. There might also be business suit, abattoir, butchery, shambles, and slaughterhouse.